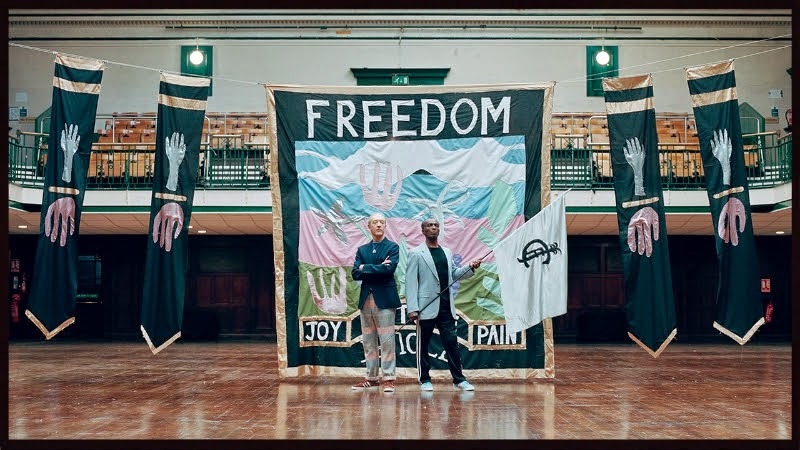 Still in awe from seeing them live at Glastonbury a week or so back, Jungle return with an official video to their latest single Time. Taken from the forthcoming self-titled debut album set for release this coming Monday (14th July through XL Recordings) the clip sees director Oliver Hadlee Pearch work alongside the band's 'J' once more to form the latest in their series of collaborative films between them. Now, if the track itself wasn't doing enough to get you up and out of your seat moving, surely the infectious dancing onscreen will as two (slick grooving) old-timers enter in to an impressive dance off. Treat your eyes and ears above. You can now also stream the album in its entirety a week ahead of its release by heading over to iTunes. Check out the bands full list of dates after the jump.